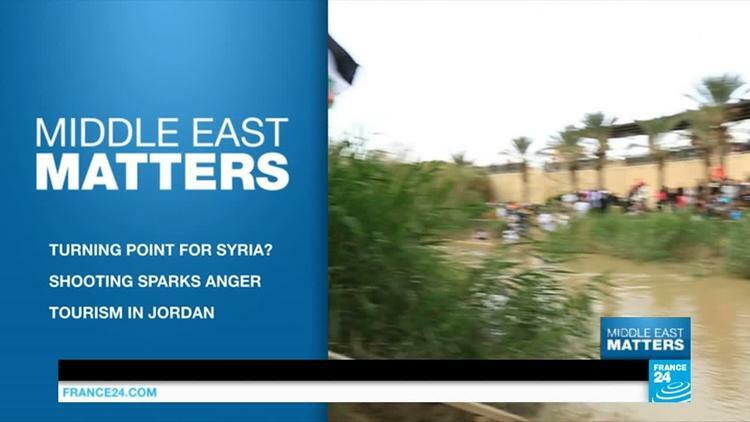 Syria Endgame: Are Russia and US Planning overthrow of ISIL in al-Raqqa? The Russian press had been complaining that the West was ignoring its defeat of terrorism in Syria. “Washington is having an epiphany: not only should we exchange information so as not to shoot each other down, we also really have to coordinate our actions in the fight against terrorism,” he said. This statement suggests that Russia sees political advantages now in a campaign toward the east in which it gives close air support to the Syrian Arab Army and its militia allies like Hizbullah. 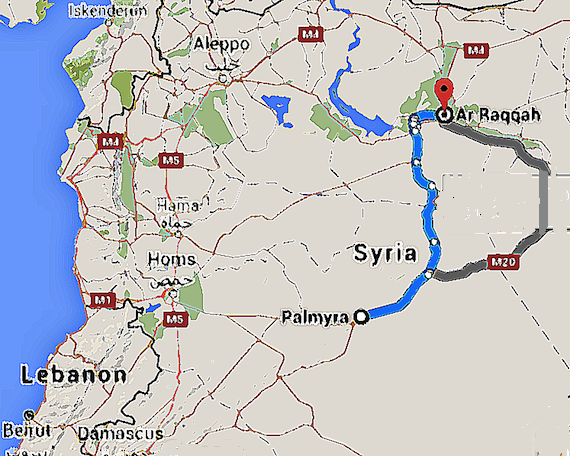 Palmyra has already fallen, and al-Raqqa is only about 150 miles away, though admittedly it is a hard slog for infantry through an arid desert landscape. “It would be worth reminding you where it all began. And it all began with Russia suddenly being faced with the threat from “Islamic State,” or to be more precise from our fellow citizens and the citizens of CIS countries, numbering about 4,000, who had decided to link their lives to ISIL. And so the official aim of our operation in Syria at its initial stage was certainly not help for Al-Assad and not the desire to force the ungrateful West to take account of us, but the defence of our motherland’s southern borders – Russia promised to issue a challenge to world terrorism far from its own borders. A simple example. The “Al-Nusrah Front” is an organization recognized as terrorist by Russia, an organization which according to all the logic of things should be fought right up to its complete annihilation. But in that case we must also fight its immediate “sponsor,” Saudi Arabia, which refuses to recognize its creature as terrorist. Thus, I suggested that one of the motives for the conquest of Daesh territory– Palmyra and ultimately al-Raqqa– might well be to forestall US-led moves toward a weak federal government with strong provinces, some of them dominated by right wing fundamentalist Muslim forces oriented toward Saudi Arabia and Turkey.